Morning Folks from Las Vegas! “All the Change in the world will mean nothing if you yourself has no desire in changing.” Yeah I just came up with that piece of ingenuity. 2. 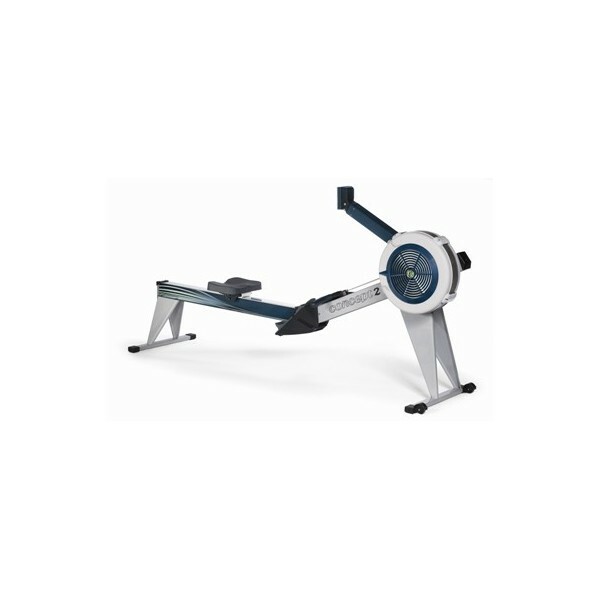 New equipment – we now have 8 rowers, 24 new olympic barbells (in addition to what remained), 20 new wall balls, 20 new jump ropes (yes they matter when you use em many days), many new plates, collars and other equipment we use everyday at the box. 3. New kids area – gated 😉 – we moved the kiddos back upstairs and it’s ready for your kids to have some fun. 4. New entry area to hang for just a bit – relax and share a story while doing your journal my friends. 5. Coat Hooks – 15 of them to be exact. 6. Programming starts a bit more defined – warm-up and skill are often lead as a group. 7. This week we included ENDURANCE as an option with your normal WOD options. And yet all of this leads me back to the top…All the Change in the world means nothing if you yourself have no desire in changing. And while millions voted just a couple years back for Hope and Change, I encourage you to take action on the latter and Change in 2011 with CFSF. Change your routine, your comfort zone, your commitment, your workouts, your health, your life and take it to the next level in 2011 as You Change with Us. ENDURANCE now included with your CrossFit Membership – see details. Yes, that's a Rower. And, it's included in your Membership - see New CF ENDURANCE details. Just like CrossFit WODs, every Endurance WOD can also be scaled to accommodate every fitness level so Do Not be afraid to come to jump in. Endurance classes consist of running, rowing and jumping rope along with some additional body weight skills such as burpees, pushups, and sit-ups. If you have any additional questions about the program or signing in please feel free get ahold of me (literally, just don’t strangle ;). Endurance is just another piece to the CrossFit puzzle and I am very excited that everyone will have the opportunity to benefit from the class. Below is more information and may help with any questions or concerns you may have! 1. How do I sign up for CrossFit ENDURANCE classes? You can now sign up for CrossFit ENDURANCE under the normal CrossFit class schedule. Do Not use the Endurance Tab (that is going away). PLEASE though – Sign Up in Advance for ENDURANCE just as we do for ALL CF WODs. 2. How will I be charged for CrossFit ENDURANCE? 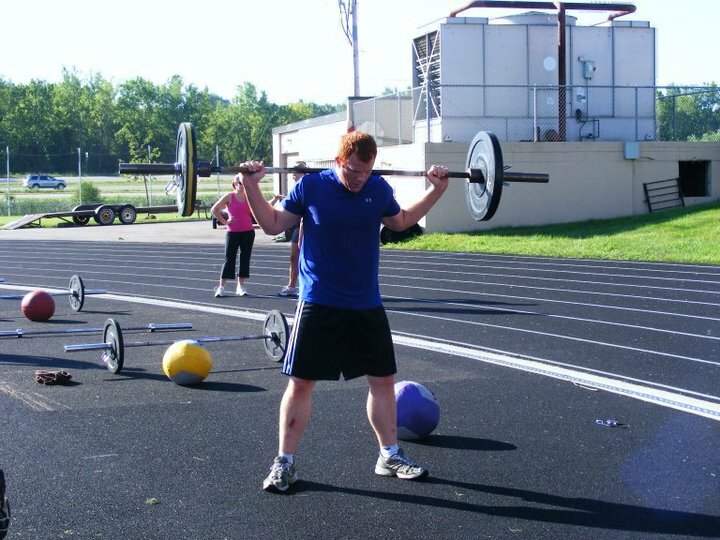 CrossFit ENDURANCE classes will count just like a normal CrossFit class does under your membership. If you are a part-timer 12x monthly, you can select between Endurance and CrossFit WODs as desired. If you are unlimited, you can choose up to 3 Endurance WODs a week to compliment your unlimited number of CrossFit WODs. 3. Holy cow that is a good deal…can I just CrossFit all day now? We…No. Though you can come to 2 classes in 1 day, you must have 3 hours rest in between classes. This is nothing new and in order to get the most out of both your CrossFit WOD and your Endurance WOD your body needs at least a 3 hour rest. 4. What is the best way to take advantage of this change in scheduling? 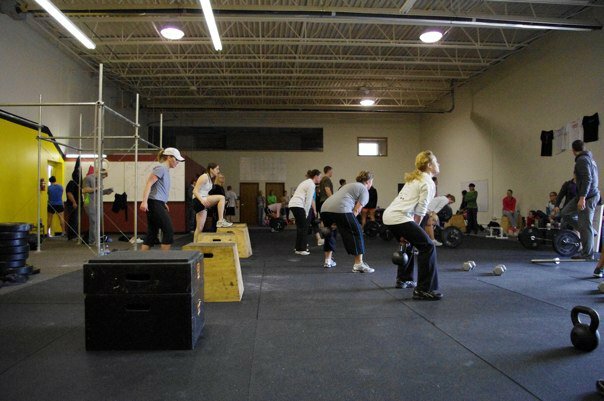 It is encouraged that you upgrade your membership to Unlimited Membership and thus can take advantage of the best mix of CrossFit, Olympic Lifting, and Endurance. An ideal schedule would have 2 CrossFit workouts for every 1 ENDURANCE workout. Listen to your body, you will know. 5. Ok, so I purchased both before you added this new cool benefit. Can I get my money back? No and Yes – please read. So, you are a part-times…no you do not get money back. But have no fear, you still have the credits until they expire or are used as would have been normal. When the credits are used, you will then have the option of going unlimited or staying part-time (12x). If you do have an issue with billing, please visit with us and we will get it resolved – yes, in the 1st month transition there could be a hic-up or 2 (no more we hope). If you were Unlimited already and still have credits, come in and visit with us. We will adjust the amount outstanding to your next month and make it all good. YOU have to come and see us though and we will fix it all up – it’s that easy, we just need ya to stop in. Let’s kick off the New Year right and not only build strength but build our endurance also. Get in today for an Endurance WOD — Fargo Marathon anyone? Programming – We Plan with YOU in Mind. With all of the changes going on around CFSF, it’s important that everyone knows what’s happening when it comes to the programming. I get many questions and comments about this subject (and I know many questions and comments float around that I don’t hear) so let me take this chance to clear the air so that we can all be on the same page. First, I feel like the word ‘programming’ is thrown around quite a bit with regard to planning the WODs. My strength and conditioning background has taught me that an exercise program is written to address the goals and needs of a person or group of people. A program is a plan to systematically progress toward those goals and needs. Making a program for a few athletes with the same goals and needs is easy; making a program for 150+ people of varied fitness levels, ages, wants, and needs is a totally different beast. So, what exactly is our goal here? Do we want to build cardiovascular capacity? Yes. Do we want to build strength and power? Yes. Balance and coordination? You bet! I have three main goals to fulfill when putting things together for ya’ll. 2: Every day, you should leave feeling accomplished. Whether this means doing your very first pull up, making a heavy lift, or pushing your body further than you ever thought you could. Every workout has a specific goal, a bit of instruction or practice to help you reach it, and a warm up planned to prepare your body for the movements and demands about to be placed on it. 3: Safety. This one is obvious. Goals 1 and 2 pertain to effectiveness. Yes, this program will improve your fitness, but it also needs to guarantee that you can be fit tomorrow, in two weeks, ten years, and beyond. Many people believe that in order to get more fit, you need to do more and go harder every single day. In reality, though, your body can only withstand so much pounding before it breaks. With smart planning we can avoid overuse injuries and mental/physical burnout. This is done by making sure there is a balance of movements (pushes, pulls, squats, etc) and volume (sets and reps), everything fits! The other side of the whole safety thing is in the coaching. Leading a solid warm up, teaching proper technique, and scaling as needed are important parts of our job. As a coaching staff we’re putting a lot of emphasis on this stuff because it’s essentially the reason we’re all here. Each day is carefully planned out to meet a specific goal. Each week is laid out to build upon the week before, and then checked, revised, and changed several times to ensure balance and that it provides a wide assortment of challenges and opportunities. All of the coaches also have input, so there’s sort of a system of checks and balances, keeping everything as broad, general, and inclusive as possible. If there are any ever questions, comments, or concerns on the program, PLEASE don’t hesitate to contact me by email: casey.mouw@gmail.com. It’s your membership, your money, your fitness, you should be informed in how it’s developed. I also have no problem with sitting down and setting up an individual plan with somebody, you need only ask. Keep working hard! Hey Fitters! There’s a lot going on at CrossFit Sioux Falls these days and many people who deserve some recognition for all their accomplishments. As a result, I have a combined Athlete of the Week post that highlights a few special people and gives you just a small glimpse of their Awesomeness! I have come to know Brent over the past weeks and echo those same comments. His positive attitude, willingness to help others and dedication to CrossFit and himself are a great example for others. Brent, thanks for all you contribute to the CFSF community and we look forward to seeing you take those PR’s continuously higher. Get after it! You all know these guys as your trainers, friends, mentors, and leaders at CrossFit Sioux Falls. What you may not know is starting Friday at 5pm (New Years Eve) through 14 hours on New Years Day and another 10 hours on Sunday these guys Got after It – transforming CrossFit to be ready for our Monday re-launch. In total, we spent 33 hours together as a team. I could not be more proud to have these guys on our team. Here are just a few reasons why – giving [did I mention they gave up 33 of roughly 48 hours over the New Years weekend], dedication [we could have just painted and laid mats in a hurry, but to do them the absolute best possible way takes time], friendship [Lonestar made for a great New Year’s meal I will not forget]. If you take note, the exact same qualities they give to our members everyday to make them better; they gave us all the same this past weekend as the CrossFit Construction crew. The culmination for all of us came when members showed up in volume to wrap up and help put the finishing touches on for Monday, but when I left the building Sunday night at 8pm to get my kids home, I turned around one last time and could only smile at the 4 people that remained…Casey, Browny, MattyB and Liza…filling in a white board making sure 5:30 am would be a hit for all of you! Thank you all for what you give to everyone at CFSF! 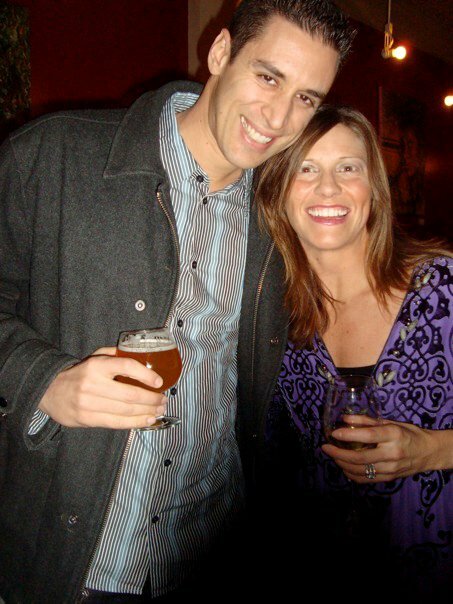 Chris and Annie Mello show off their CFSF picture. For 2 years this couple dedicated their hearts and passion to launch CrossFit Sioux Falls and turn it into something special. They have changed lives, transformed bodies and built a business and community of which I am proud to be involved. For many WOD’s I would personally check out the board and see Annie’s time and know to at least double it to get near my finish time. Typically, I failed even at that 2x goal. And the times we did class together, if the workout was 3 rounds, typically by the start of my 2nd round she was done and on to help coaching us remaining athletes. It took 104 weeks for them to finally make it to Athlete of the Week 😉 but as they transition on to new ventures in their return home to Los Angeles, we wish them all the best and continued success! So there you have it – AOW Special Edition comes to an end. And as we close, give these Athletes some appreciation for their accomplishments. Post a comment, give ‘em a fist, heck toss a bearhug if you want…just do something show them all how much we appreciate them at CrossFit Sioux Falls! As for the AOW parking space – to keep you all from crashing into each other or bringing your monster truck to park on top of the other guy, Brent Carr…it’s yours for your AOW CrossFit Total accomplishment – nice work! A dedicated effort by many adds a new look and feel to the box. In a transaction, led by Liza’s passion for all that is CrossFit, a trainer who believed in our plan, a couple who desired to return home and timing which created the perfect scenario, I am proud to welcome in 2011 with my wife, Liza as the new owner of CrossFit Sioux Falls. I must start by saying thanks to Chris and Annie Mello, the founders of CrossFit Sioux Falls for all of their hard work, dedication, and passion that built this business from zero to strong in 2 years. In my eyes, Chris really did beat the odds in Sioux Falls fitness. Their accomplishments speak for themselves. 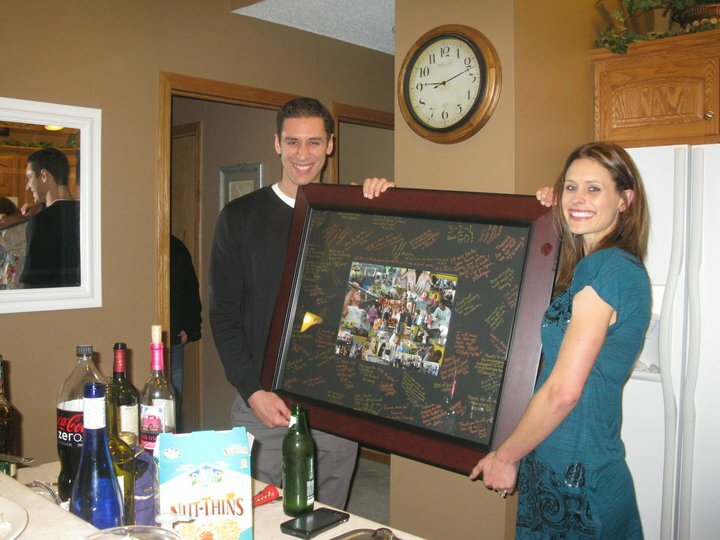 Moreover, through the entire transition process both Chris and Annie have been phenomenal. In the past 3 days we have spent over 30 hours with many people, but in particular 3 very dedicated trainers, Casey, Browny and MattyB who spent every hour of that time revamping CrossFit Sioux Falls to get it ready for everyone. I will not forget this time spent with these guys and the effort to make it all happen. Also to the many who showed up Sunday, thank you. I am grateful that people dedicated their free time to make this all happen. 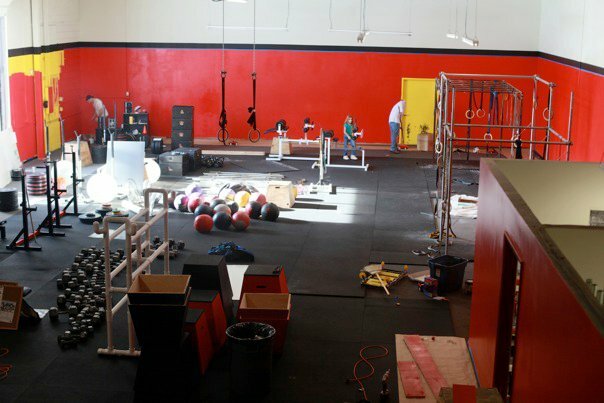 As for what’s new…we took all that was original CrossFit and have added to it. 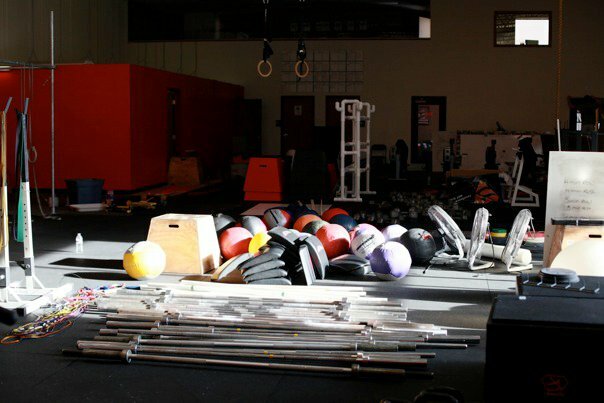 More equipment, a fresh feel inside, new kids area coming and more – come in and check it out. As for what’s staying, remaining unchanged…all the best stuff – the highly skilled, certified and passionate training staff. Casey is on full-time. Browny, MattyB and Cody are dedicating their skills to make you better. Liza is on full-time. It is an amazing assembly of talent that cares about not only your fitness but your life. Many more changes are in the works and some may take a bit of time. In the meantime, I will assure you the best opportunity to get a great workout with the most qualified training staff in Sioux Falls. So, as I start 2011 as a blessed Dad and husband of a woman following her dreams, I challenge you to make positive, proactive change in your life. Whether it be CrossFit or some other passion you finally activate, do something! 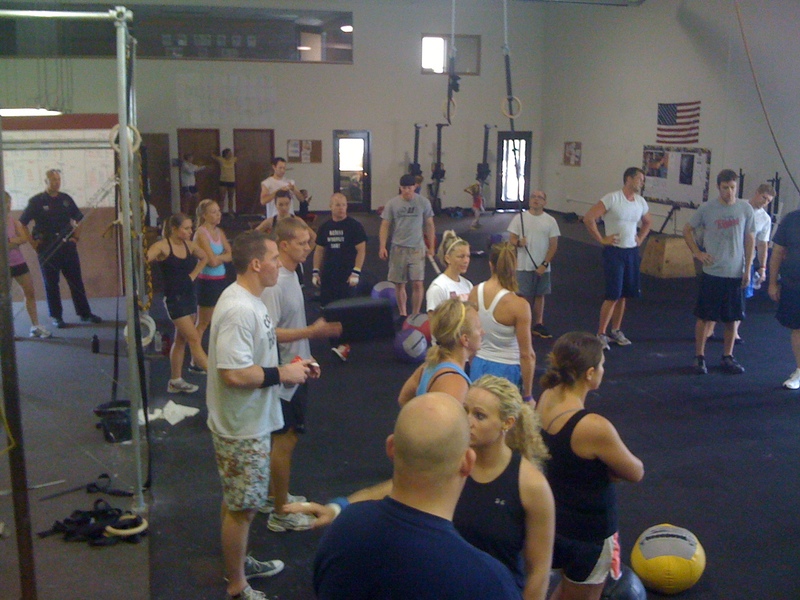 I am anxious to see what 2011 has in store for all of you and all who CrossFit Sioux Falls! What NEW will YOU DO in 2011? Get after it! P.S. Check back this week for a special Athlete of the Week. This is one you won’t want to miss.